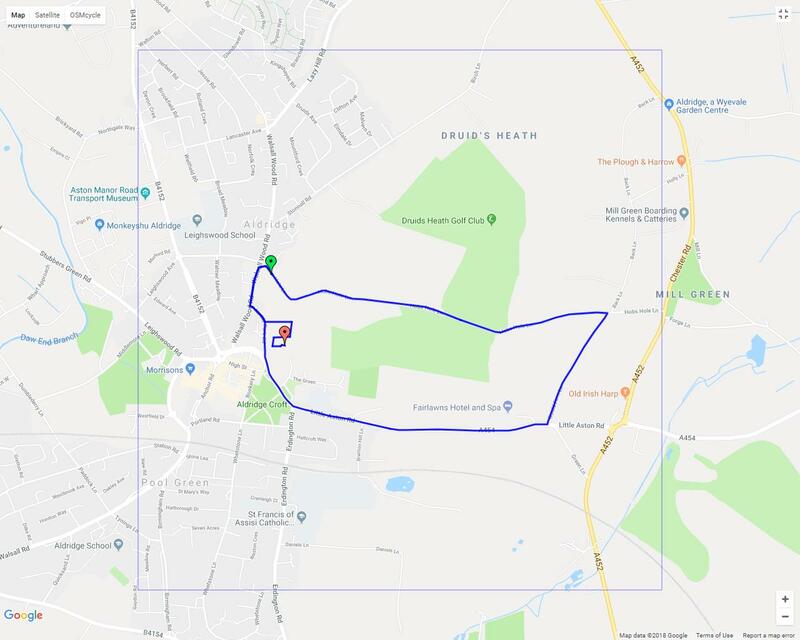 We are pleased to announce that we will be holding our 28th Aldridge 10k, together with our accurately measured 5k and increasingly popular children's races, on Sunday 9th June 2019. Online entries are open via JCRaceSolutions Closing date - 31st May 2019 or when all places are filled, whichever is the sooner. Please note, the 2018 10k Race Sold Out before the end of May. 5k - £10 for affiliated and £12 for non-affiliated. Medals and a technical T-shirt for every finisher and, once again this year we will be popping a 'beer token' (under 18's soft drink) into your goody bag. Advance entry is recommended to secure your place. Providing the limit has not been reached there will be entries on the day, but only advance entry will guarantee your preferred T-shirt size. Children's races: Choice between 400m (4-7 years) or 1 mile (13 years and under). Click here for information and entry form. There will be entry for children on the day but you can beat the queues and enter in advance. Can we be lucky with the weather three years in a row? Let's keep our fingers crossed for that one. ​Postal Applications are also welcome, click ﻿here ﻿to download an application from. Deadline for entries is as given above for online. Car parking. There will be no vehicle entry to the Stick & Wicket but a variety of local car parking is available.​ Download a parking map here. Water station: at 5k for the 10k race. Water provided at the end of the 5k. Headphones: Please note that, in line with UKA rules in ear headphones will not be allowed and usage of such will result in disqualification. 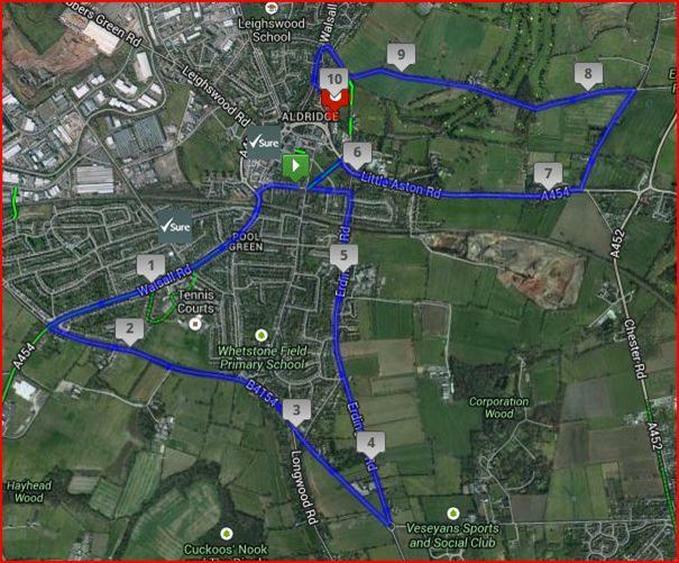 10k route is shown below. 5k route can be found here. The end of the course is off-road and so none of the races are suitable for wheelchairs or buggies. For results and photos click here for the 10k, here for the Fun Run and here for the Children's races.